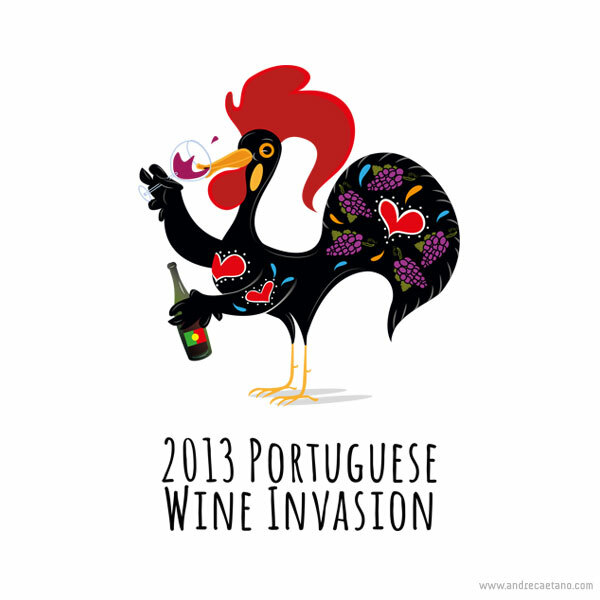 I’m very happy to share a custom Galo de Barcelos logo/Illustration that I created to represent the Portuguese Wine Invasion that consisted of a tour of Portuguese Wines across the United States. It was also printed in a t-shirt for the participants of the tour to wear. 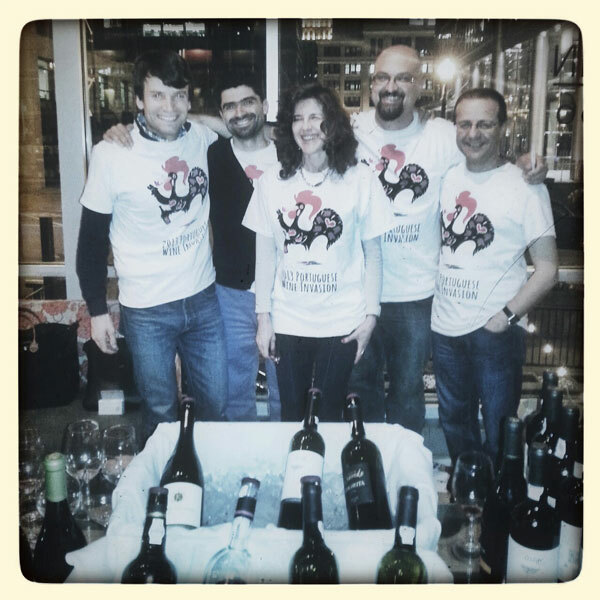 The briefing was that the Galo was fun, and related to wine and Portugal. 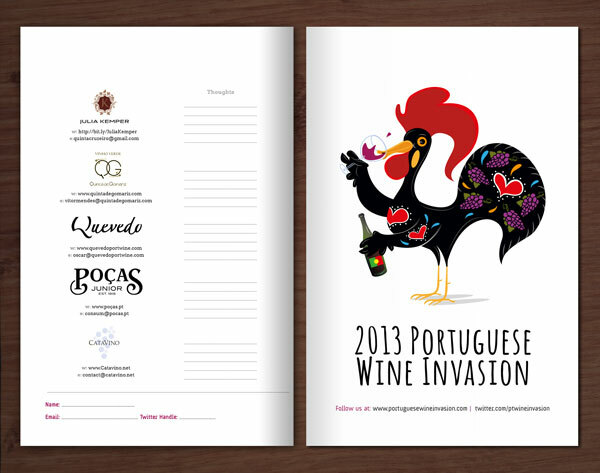 For that I added the grapes in the tail of the Galo, and drew him tasting a lovely portuguese wine. It was drawn in vector, after a pencil sketch, scanned and worked in Illustrator. 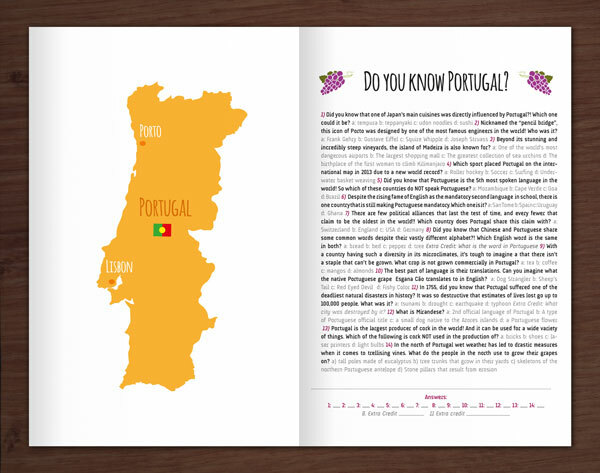 I also made a bi fold brochure with a map of Portugal.